When it comes to a more zen type of house, we´re making progress! We hardly bought anything this year, in fact we only dragged a retro tricycle in, replaced the couch (with a retro/used one), purchased a String shelf (like the one in image 2) and a shoe shelf from Normann Copenhagen. Oh, and won a 220€ voucher at Lafactory, a cool Danish furniture shop, where we chose this chair and this chair. Haha! Doesn´t sound like nothing, hm? But for us it is! We´re usually hopeless when it comes to over-stuffing our home! I still like looking for cool apartments from time to time and on the days I´m truly miserable, there´s nothing like a colorful space to cheer me up. Let´s face it- this winter has been too long and too grey and I´m oh so fed up with it! 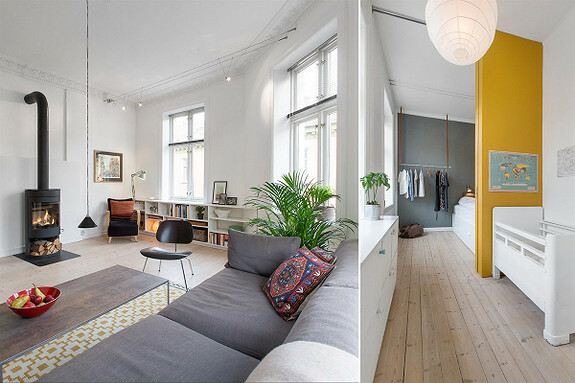 But back to cheerful places, take a look at this ingenuous apartment for sale in Oslo! I love the light and spacious rooms, the touch of bright colors here and there, as well as the hardwood floors. Hope you see what I mean. For me, the most beautiful interiors have always been the creative ones- large rooms, scarcely furnished, with an eclectic style and a steady hand. They need to have lots of light, some French boudoir chic and mid-century Scandinavian pieces. They should exude individuality and shouldn´t be too matchy. Marie Olsson Nylander and her husband William have got it just right. 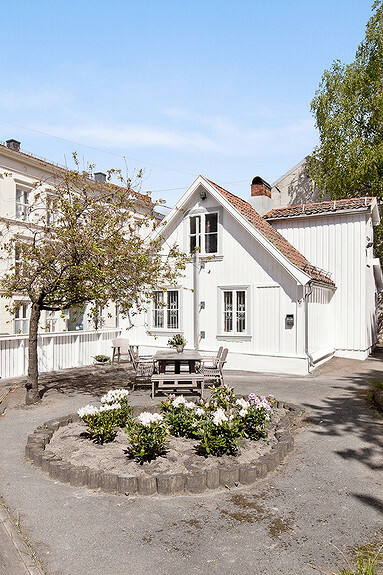 Their house by the sea is a perfect retreat, take a look! Living in Scandinavia means making the best out of the little light we have half of the year. An old factory with 400 m2 and 34 windows makes Morgens Dahl and Jette Egelund truly fortunate. I love everything about it! 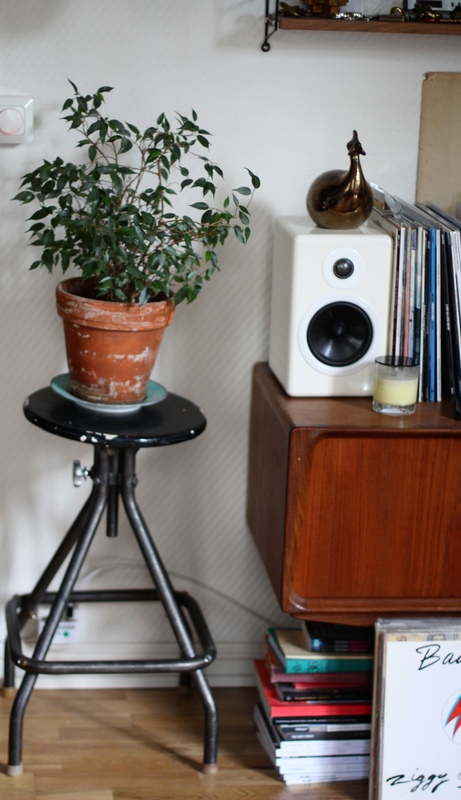 The rest you can get along the way, from flea markets, discount stores or second hand designer shops. 😉 We haven´t been able to keep the same couch since the cats have scratched it or it has turned soggy, but next year´s treat is a big, comfy designer couch from Andreas Engesvik!